Université d’Aix-Marseille, and Chairman of the Aix Group. 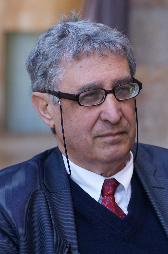 Gilbert Benhayoun is the Chairman of the Aix Group and Emeritus professor at Aix-Marseille University. He has authored numerous publications, most recently focusing on aquaculture and agriculture in the West Bank and prescriptions for economic development thereof. Dr. Benhayoun retains the title of “University Professor” for his accomplishments during his tenure at Cézanne-Aix-Marseille.